What happens when you pair a dedicated and compassionate Northside Hospital employee with a caring, insightful and insistent mentor? 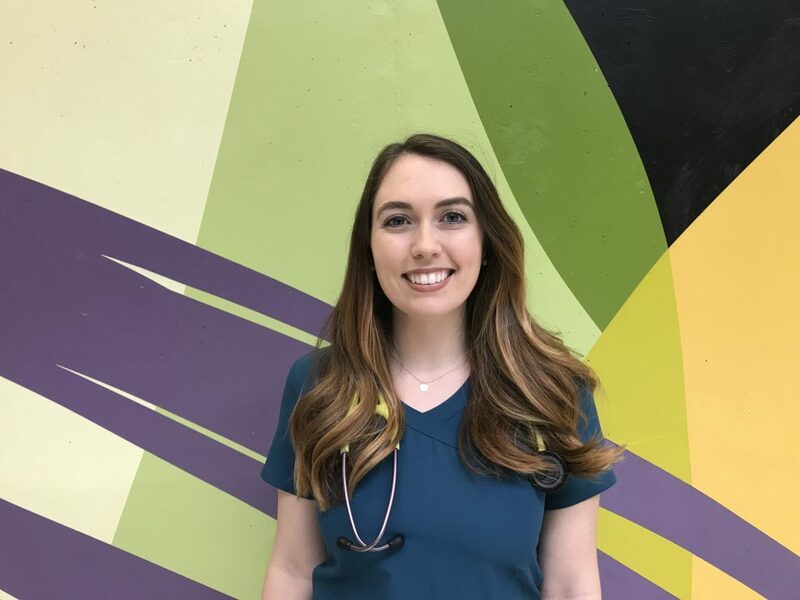 In the case of Northside’s Christie H., you get a registered nurse who is now proud to be an integral part of the Blood & Marrow Transplant Residency Program. Christie’s story actually started in August 2000, when she joined Northside Hospital’s Environmental Services team. Unsure of where she wanted to go in her career, Christie had never even considered working in patient care. Becoming a nurse wasn’t on her radar, either. However, there was something about being at Northside that Christie says resonated with her right away. Maybe it was her supportive and encouraging teammates and the way they treated each other. Maybe it was seeing what a huge difference we made for the patients who came through our doors. Whatever it was eventually motivated Christie to take advantage of a CNA/Patient Care Tech training program Northside offered. Once she started, Christie was amazed at how much she enjoyed it, and how good she was at it. She worked in the Post Anesthesia Care Unit and Labor & Delivery before making her way to BMT. She had found her calling – or so she thought. Once in the BMT unit, Christie started working with Tricia C., a staff Nurse who has been with Northside Hospital since September 2001. Tricia became a mentor to Christie, and told her she should consider nursing school. At the time, though, Christie was happy being a CNA. She believed nursing school probably wasn’t for her. Tricia knew better, and as good mentors do, she kept gently pushing Christie toward the goal, guiding and encouraging her along the way. “Tricia saw something in me that I didn’t see in myself,” Christie said later. Turns out that Tricia was on to something and, soon, so was Christie. After nearly 12 years as a Patient Care Tech, Christie applied to complete her pre-requisites. Once she finished them at Atlanta Metropolitan State College, Christie went on to Nursing school at Chamberlain College of Nursing. She graduated in 2017 and entered the BMT RN Residency Program in August 2017. When she looks back today, Christie is somewhat amazed by her journey and thrilled she took it. She is still surrounded and motivated by caring and supportive colleagues, and she loves the impact she’s making every day. She’s also forever grateful to her mentor, Tricia. As with any health care career, there can be tough days. The hardest part about the job for Christie is when patients have bad outcomes because, in nearly every case, Christie finds herself wishing she could do more. In spite of that, when her shift ends and she heads home to spend time with her 2-year-old, Christie is always thankful for the people who make the Northside Difference – and the difference they’ve made in her life. Northside Hospital Environmental Services Tech Stephan V. knows that his interactions with patients can have just as much impact as those of any doctor or nurse. And he proved that recently with a patient who was being treated for leukemia in Northside’s BMT unit. Stephan’s natural gift for kindness and optimism left an impression on the woman and her family that won’t ever be forgotten. This is high praise indeed and shows what impact a simple smile and upbeat demeanor can have, especially for those patients and their families who are facing a difficult journey. Stephan, like so many other Northsiders, has an innate ability to make those around them feel better. It’s a skill that’s apparent to Stephan’s boss, Monique J. When caring is genuine, people know it. Although Angie’s mother sadly succumbed to her disease in January, Stephan’s kindness was a lasting gift for her and her family. We are lucky to have Stephan, and thousands of others just like him, in the Northside family. They realize that what they do every day – and how they do it – can make a world of difference! For many Northside patients, one of the first faces they see belongs to Marckeith D. or a member of his team. As a Financial Counseling Supervisor at the Atlanta campus, Marckeith and the people he manages are responsible for getting the patient experience off on the right foot. After six years with Northside, Marckeith is confident his team is making a difference. Taking care of patients comes easily to Marckeith because he is proud to be part of the Northside family and everything it represents. “We pride ourselves on giving each patient and their families service excellence,” Marckeith said. “We listen to their concerns, and their health comes first and foremost. We want to make sure that the patient is taken care of and comfortable and that their families are comfortable. For those looking to join the Northside family in any capacity, Marckeith says it’s key that they be ready to perform at a high level from the first day. Marckeith says those applying to Northside also need to be comfortable working as part of a team. Once you’re working at Northside, Marckeith says you can expect to challenged, empowered and supported – just as he has been throughout his career journey here. 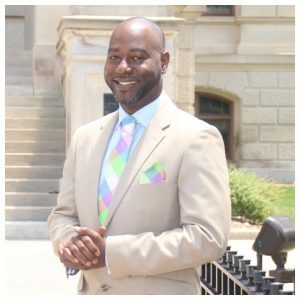 As a team leader and supervisor, Marckeith has learned to appreciate and respect those he works with. In fact, he says his teammates are his favorite thing about working at Northside. When he looks toward his future at Northside, Marckeith says he is content with the path he is following. “I see that there are areas and opportunities for growth,” he said. 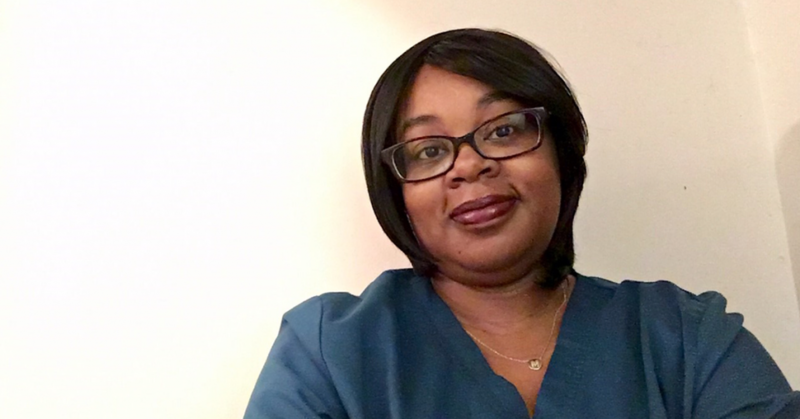 Cardiac Cath Lab Nurse Tawana W. started at Northside Hospital six years ago as a Cath Lab intern – with 20 years of nursing experience. It may sound crazy, but Northside’s Cath Lab intern training program was exactly what Tawana was looking for. After nearly two decades of nursing experience, our program offered her the chance to build a new skill set. Tawana, who is often told she’s an “adrenaline junkie,” wanted to take her nursing career in a different direction. Today, Tawana believes she got everything she came for at Northside Hospital. Tawana says that anyone who wants to join the Northside family shouldn’t forget about non-traditional approaches to getting here. The willingness to do something a bit different, mixed with a dash of perseverance, can work wonders. It will be worth it! Northside, Tawana says, is a special place. After six years working with us, Tawana knows what works at Northside – and also what doesn’t. 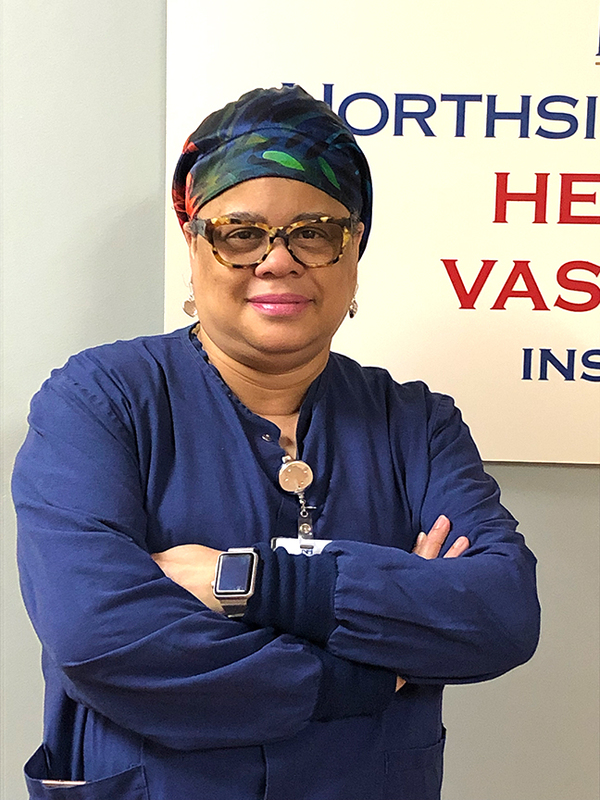 Although she sees herself as an older, seasoned nurse, Tawana is still excited about her future at Northside and the opportunities working here could create. Whatever her next step, Tawana is happy to be where she is and doing what she’s doing right now. A little kindness can go a long way. While that’s true anywhere, it’s especially true when it comes to working in healthcare. Sometimes, the simplest gesture can mean so much to a patient or a co-worker. That’s why we’ve decided to start a “Kindness Revolution” at Northside Hospital Forsyth, because we want to recognize and celebrate the tenderness and caring of all the members of the Northside Family. Our “Caught in the Act of Kindness” campaign allows employees to single out and salute those who routinely go above and beyond every day and make working here more than just a job. The nominees will get a special certificate, a T-shirt and a pin as they are honored by their supervisors. The certificates will be placed on each department’s “Kindness Bulletin Board” and their names also will be featured on the TV screens near the cafeteria. As a finale, our kindness winners will be recognized at the Patient Experience Awards in May. Nurse Sarah H. was “caught in the act” of helping a patient celebrate her 96th birthday. Sarah had balloons sent to the room and helped lead the staff in singing “Happy Birthday” for the patient, who tearfully clapped along. It was an amazing moment of kindness. Dr. Wayne A. of the GI Lab singled out the kindness and compassion of Dacella R., calling her “an amazing asset to the team,” while Jae B. singled out co-worker Buddy C. for not only noticing that her car license plate was about to fall off, but fixing it for her, too! The acts of kindness aren’t limited to one unit. Oncology Nurse Bailey R. asked some of her teacher friends to have students make Valentine’s Day cards for our Oncology patients. The kids did an amazing job and we had enough cards for every patient – all of whom were touched by the sweet gesture. The cards really brightened their day. We are aware that kindness is a choice, and we’re proud to know that so many Northsiders make it their first choice in almost any situation. It’s one of the fundamental things that sets members of the Northside family apart every day – and one of the main reasons we’ve chosen them to be on the front lines of our Kindness Revolution. For Patricia T., working at Northside Hospital means excelling at innovating. 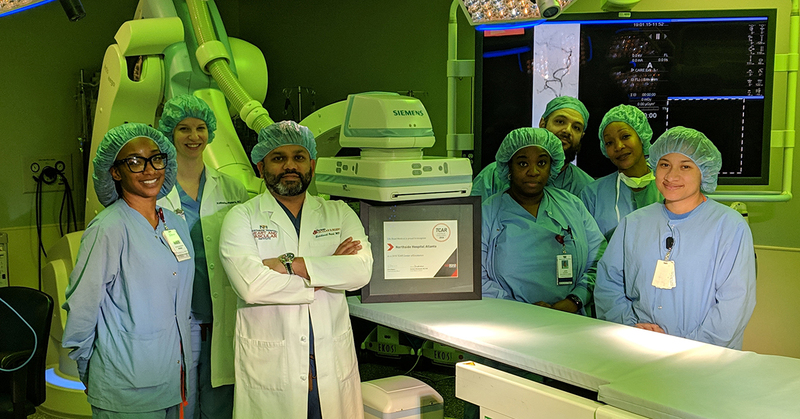 Patricia, administrative director of our Heart and Vascular Institute, is an integral part of the Northside team that was recently honored with the TCAR Award, recognizing us as a center of excellence for the revolutionary transcarotid artery revascularization technique (TCAR). This state-of-the-art, minimally invasive procedure helps treat plaque in the carotid artery, which could cause a stroke if left alone. TCAR also allows for the treatment of more patients, including those that previously would have been deemed too risky for surgical intervention. Patricia says that at Northside, medical innovations are quickly incorporated into patient treatment, thanks to forward-thinking doctors, nurses and hospital leadership. She credits Dr. Siddharth Patel with being a particular champion of TCAR. Patricia says one reason Northside earned the award was because of the high number of patients it has treated using TCAR – and the high quality of their outcomes. Making such an innovative approach commonplace is just one more way Northside sets itself apart from many other health systems. It also showcases how teamwork focused on patient care continually drives us forward, and makes Northside such a special place to build a career. Giving employees the tools, training, and technology they need to succeed helps Northside build a strong foundation of support. For Patricia, however, that combination really works because of the team of people we’ve assembled here. From compassionate coworkers to supportive leadership, the Northside Difference means many things to experienced Oncology Nurse Megan McCoy. And it has since she began her career with us. Teamwork is one of the foundations that Northside Hospital careers are built on. For Megan, it’s something that sets us apart from many other health systems. Collaboration makes a big difference for her every day and keeps her engaged and empowered. “Bad days” can come with the territory when you work in Oncology, Megan says. The distinguished cancer programs at Northside are first rate and change lives for our patients, but the disease is still a formidable enemy. Career fulfillment is another key component of the Northside Difference. We’re working hard to build the kind of inclusive workplace that allows our diverse team to flourish. 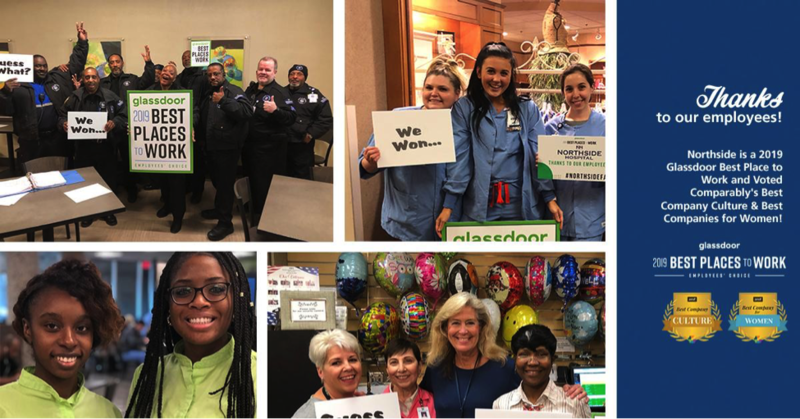 That’s one of the reasons feedback from Northside employees helped land us on the 2018 Glassdoor Best Places To Work list and Comparably’s 2018 list of Best Companies for Women. For Megan, the support provided by her supervisors and colleagues has helped shape a career path she is proud of. For those who are looking to starting the new year with a new career at Northside, Megan has some advice. For those who get called in for an interview with a recruiter or hiring manager, Megan advises that a little enthusiasm can go a long way. Who wouldn’t do well at Northside? Based on her experience, Megan has some ideas about that, too. Those resources will support Megan as she moves forward in her Northside career, something she is already excited about. A place everyone wants to be. A place where employees are valued and empowered. A place where opportunity is everywhere. That’s the Northside Difference. As 2019 begins, many of us at Northside Hospital are focused on opportunities to improve our skills and our careers. Continuous growth is always encouraged here and everyone is empowered to develop their abilities so they can improve life for our patients as they fulfill their own potential. With that in mind, some of our team members have set down some career-related resolutions for the coming year with an emphasis on getting better at what they do. Like Brieyana, many others are aiming to bolster their professional education. Northside Nurse Dorothy U. wants to keep working on her nursing Ph.D., while her colleague Diana N. wants to become an Oncology Certified Nurse. Beside education, the Northside community spirit also is evident in the resolutions of our team members. Whether it’s learning new skills, getting a sought-after certification or doing more volunteer work, the Northside Family is excited about the all the opportunities they will have in 2019 to build their careers while working to make our community a better, healthier place. This has been a great holiday season so far for all of us at Northside Hospital! First came the news that we ended up making the 2018 Glassdoor list of Best Places to Work. Now, we’ve learned that Northside Hospital has just made the 2018 list of Best Companies for Women as compiled by Comparably, a culture, compensation and career monitoring website. We’re humbled by both honors, even more so because they are based on feedback from our team members. Landing on the Comparably list is especially gratifying because Northside has for years been a leader in creating a supportive culture where women can grow, thrive and advance to leadership positions. The Comparably list took into account the roles occupied by women in companies, said Comparably CEO Jason Nazar. “The single biggest thing that’s driving inclusiveness for women is having more women in positions of management and leadership,” Nazar told USA Today in an article about the award. As proud as we all are of the recent honors, our employees know that Northside is not a health system that will rest on its laurels. Instead, we’ll use these awards as springboards to build an even more inclusive and dynamic workplace that gives all our team members the chance to reach their full potentials and build the best careers possible! Northside Hospital is renowned for the dedication and skill of its team members. It’s what helps set our entire health system apart. Northsiders work hard and give back because they believe it is the right thing to do, and they would do the same stellar work whether they were being recognized for it or not. We’re so pleased to see the commitment of our employees honored by local, state and national organizations. Three members of the Northside family were recently recognized for their exceptional work and dedication to serve our community. We are very proud of Trinita Ervin of Internal Medicine Services, who was named a 2018 Woman of Distinction by the Sandy Springs Perimeter Chamber of Commerce. 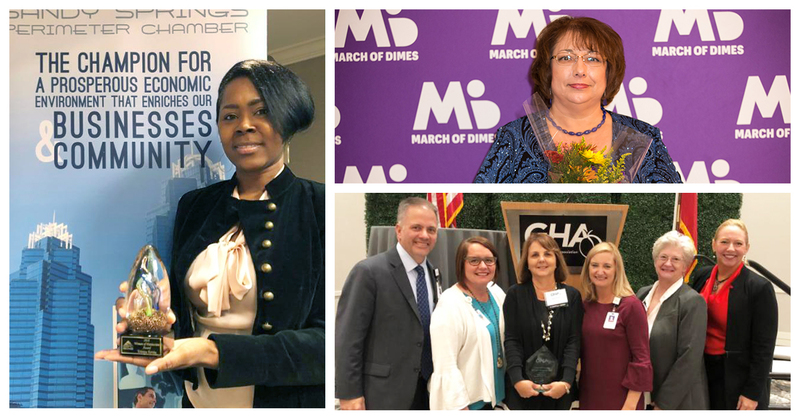 The award recognizes women who generously share time and talent to demonstrate a sense of social responsibility and make a difference in the Sandy Springs community. Congratulations, Trinita! We’re also thrilled by Kyle Porter’s selection as a recipient of a Hospital Hero Award from the Georgia Hospital Association. Kyle, a Patient Relations Representative at Northside Hospital Cherokee, was one of only eight people across Georgia to earn this honor. We’re all proud of you, Kyle. We’re all also very proud of Northside Oncology Nurse Carol Del Campo, who was named Nurse of the Year in the oncology category by March of Dimes Georgia. Carol currently serves on the Atlanta Cancer Care Survivorship Development team as the survivorship coordinator, where she works alongside oncology social workers and physicians to educate her team on new drugs and treatment protocols. With 30 years in the field, Carol has used her vast experience to help train nurses, and she believes her job is to provide compassion, empathy, guidance and education to each patient and family, no matter the prognosis. Thank you, Carol, for all you’ve done to make life better for our patients. You truly deserve such a prestigious honor! Trinita, Kyle and Carol are shining examples of the type of people who make Northside such a great place for patients – and such a great place to work!